Being leaders in the market, we are manufacturing, trading, distributing, retailing, importing and supplying a precisely design Pneumatic Impulse Sealing Machine. 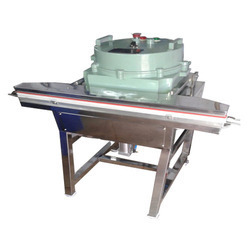 This has very fast production and low maintenance; these impulse sealing machines are provided in various specifications in order to meet the variegated needs of clientele. Along with that, these impulse sealing machines are quality tested on numerous parameters by our accomplished professionals. 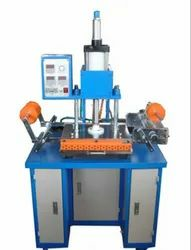 Moreover, we provide these impulse sealing machines to our client at the most affordable rates. Air Pressure 4 to 5 kg. 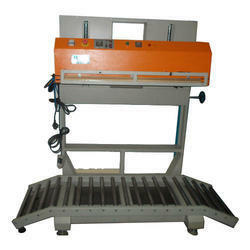 We offer a superior range of Jumbo Fusing Machine of Plate Size 30"(w) X40" (l) to our clients. 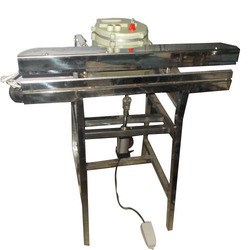 These are based on advanced technology and industry defined parameters. 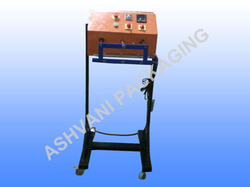 Our range is facilitated with pneumatic fusing machine that consumes less electricity with easy handling system. 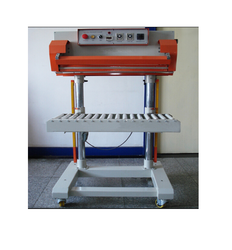 · Platen Size: 30" x 40"
Size Starts from 5"x 5"
Owing to our tremendous experience, we offer Pneumatic Embossing Machine. By offering reliable services, we help our esteemed clients in capitalizing on the long term investments. 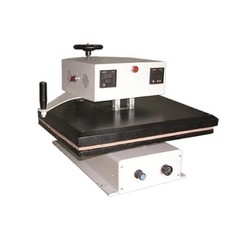 Looking for Pneumatic Sealing Machine for Pharmaceutical ?